JAPAN-based IT solutions provider, Transcosmos Inc, has agreed to acquire 10% or more of the total outstanding shares in Thailand-based startup, Ookbee Company Limited. 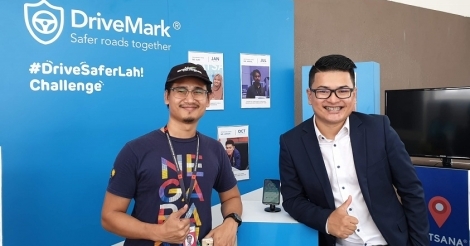 Ookbee is an e-book store startup, touted to be the largest in South-East Asia with downloads of its E-Book application having exceeded 6.5 million, placing it in the Top 10 grossing applications for over 700 days in Thailand’s Apple Store. From 2011 to the present, Ookbee claims that it has acquired over 5.5 million members, with a rapidly growing business that anticipates more than 10 million members by the end of 2014. Commenting on the acquisition, Natavudh Pungcharoenpon, chief executive officer and founder of Ookbee said that the company has been focused on building strong digital bookstores in the Asean region. “However, with the capital and strategic alliance with Transcosmos, I am confident that Ookbee will not only achieve our prime objective of becoming number one digital bookstore in Asean but we will also successfully expand our business into other digital domains when we combine Ookbee’s large customer base with transcosmos’s expertise in e-commerce backbone systems,” he added. Under the terms of the acquisition, Transcosmos will become shareholder in Ookbee, together with InTouch Plc, a holding company which focuses on telecommunication, media, IT and digital content businesses. In late 2012, InTouch had invested US$2 million in Ookbee in exchange for a 25% stake, valuing the company at US$8 million. The 10% stake that Transcosmos will be acquiring has been reported by Tech in Asia to be worth approximately US$7 million, which would put the company's current valuation at US$70 million. InTouch holds a majority stake in Advanced Info Service (AIS) Plc, the largest mobile operator in Thailand, with over 50% market share and more than 40 million subscribers. Ookbee has partnered with AIS to distribute digital books and magazines. In addition, the company has worked closely with Samsung in the development and launch of mZine, an all-you-can-read application, which is available to Samsung’s customers in South-East Asia. Masataka Okuda, Transcosmos president and chief executive officer noted that Ookbee has developed an E-Book business that covers five countries and possesses a strong customer base in the rapidly expanding Asean market, including the acquisition of more than 10,000 new members every day. "Through this new capital and business alliance with Ookbee, we are aiming to launch E-Commerce business combining the ‘Global E-Commerce One-Stop Services’ our company is developing in 31 countries around the world with the customer database, media and content retained by Ookbee,” he added. Ookbee is present in Thailand and has also been developing services in other Asean countries namely Malaysia, Philippines, Vietnam, Singapore. The new capital injection will be used to expand its operations in each country, including Thailand with plans for Transcosmos and Ookbee to launch a new e-commerce business, leveraging on Ookbee’s membership data, media and content assets. With this new business alliance, Transcosmos stated that it plans to dispatch personnel including executive officers, and it will continue to introduce know-how and systems it has cultivated up until now in Japan to Ookbee, including digital marketing, advertising operations, data analysis and customer support.